We strive to unearth & preserve fading tales of a fading town. fade from us with each passing day. That is a list which weighs heavily on our hearts, especially considering that we had actually taken steps to conduct interviews with a few of these supernova Vegas icons before they passed. 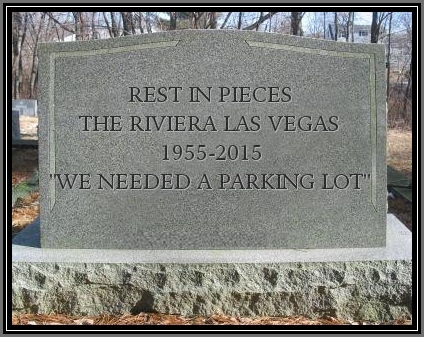 Two recent successful petitions, urging for historical preservation of the Riviera Casino & Resort (opened in 1955), sent to the LVCVA and initiated by this project and our associates... fell on deaf ears. We received NO responses whatsoever, from any of the multiple petition recipients. ...and many others, as truly historic Las Vegas locations which have been obliterated -- often for what ultimately ended up as no good reason whatsoever. 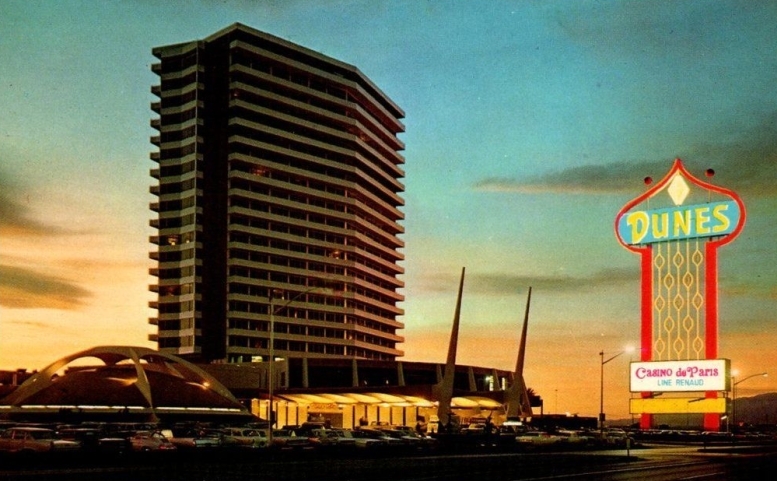 For example, the land parcel which once housed the magnificent Riviera is now an empty parking lot. The destruction of the Thunderbird and Stardust properties produced two massive, unfinished, billion dollar monstrosities which sat rotting and baking in the desert sun for over a decade. 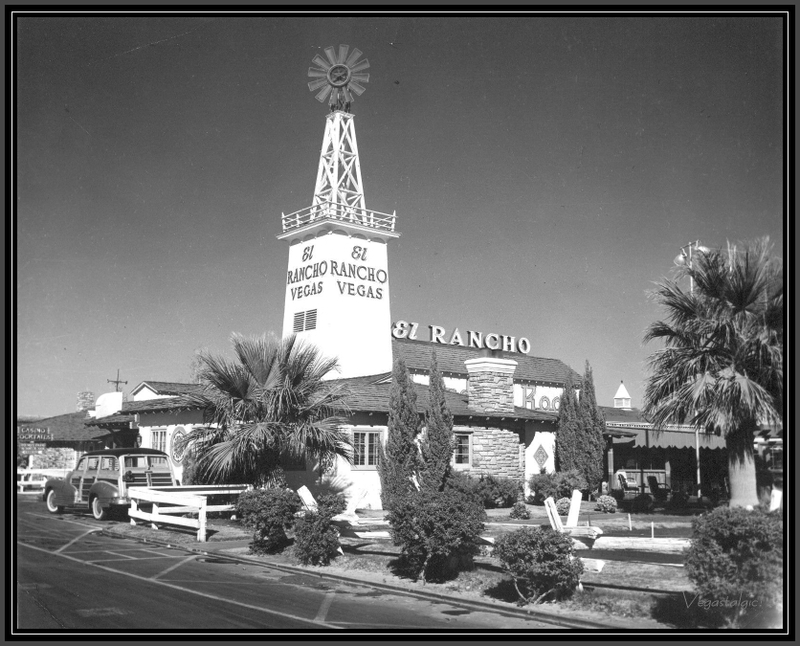 With just a few exceptions, including the magnificent El Cortez and the essential Neon Museum and Boneyard, this town has displayed ZERO regard for their incredible history, especially on the subject of the otherworldly architecture and abundant character of the old casino/ resorts. By the way, we promise not to begin ranting on this page about what's been happening in Downtown Las Vegas, but we assure you, it ain't pretty. 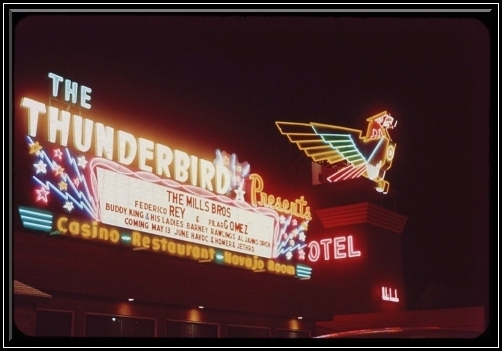 Please support our project, so that we can strengthen our resources and continue to gather incredible, irreplaceable tales of bygone Las Vegas from the remaining folks who lived, worked, visited and entertained there during the "Heyday" and Golden Age of this singular town. Additionally, we must do all we can to continue working to preserve the history of this town's neglected, imploded slices of Paradise, and do our part to curtail any more senseless destruction of LV History in the future. Our project has in our possession, a veritable MUSEUM-worth of authentic relics, artifacts and collectibles from all eras of Las Vegas History, dating back to the 1930s and beyond. We've been gathering this collection since well before our inception in 2012, and we want to share some of these amazing, classic items with those who contribute to our timely, essential documentation project. 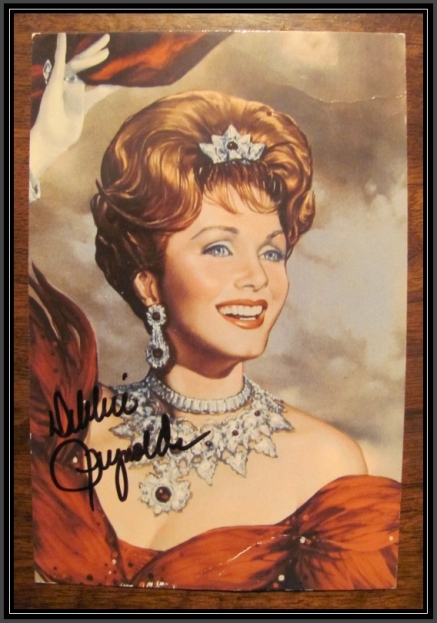 The hand-signed, autographed postcard of Debbie Reynolds pictured above is just one of THOUSANDS of unique relics in our collection. 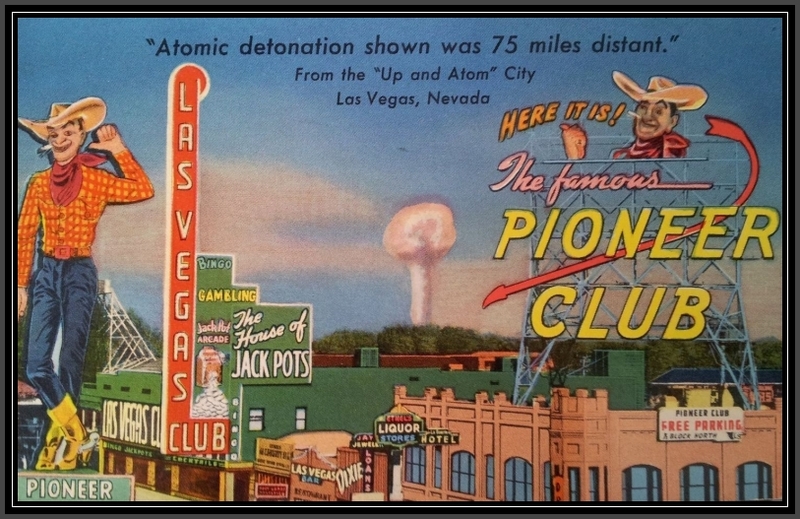 This is an actual postcard from her awesome but short-lived off-strip Hotel/ Casino and Hollywood Museum -- which was imploded after various incarnations is 2015. And just to clarify: "contribute" means more than just you forking over your hard-earned dough to keep us moving forward. What we really want are YOUR stories about YOUR Las Vegas experiences: and we mean the GOOD, the BAD and the UGLY! Don't hold back, we want it all. These unique tales are the core of our project, and you don't have to be a former member of the freakin' Rat Pack for them to matter! Finally, consider this: Las Vegas has attracted millions upon millions of visitors -- every single year, from all over the globe -- over many dozens of years. Every one of these travelers has (or had) a story, and most would love to hear, read and see even more. For better or worse, we want to remember as much as we can, in the form of a lasting documentation in multiple forms of media. This project will be conducted with style, reverence, a dash of absurdity and a healthy dose of good old-fashioned humor, in order to properly pay tribute to the Vegas of Old. The goal here is to not only to relay forgotten tales of bygone eras, but to raise awareness regarding issues the present-day city is facing. You can actually HELP combat these and many other problems, by simply providing your stories and/ or contributing funds! Your suggestions for which charities we should support are welcome! REMEMBER: Stay tuned for our forthcoming (and truly amazing) video series and YouTube Channel, which will illuminate the heart & soul of our unique project far better than mere words could ever convey. This base level tier will provide you with exclusive updates from PVLV and plenty of chances to win incredible Vintage Vegas swag. Just remember to bring along your own travel tales of Las Vegas, and tell all of your loved ones to do the same. You never know what sort of sweet LV relic might show up in your mailbox! As a matter of fact, you are the bread & butter, baby! Be sure to tell us what sort of item you'd like to receive (matchbook, postcard, casino chip, etc.) and where it came from (Sahara, Dunes, Downtown/ Fremont Street, etc.) and we will do our best to accommodate. Obviously, there are no guarantees here, but we DO know you'll just love & treasure the piece of Old Las Vegas we send to you! Also, please be patient with us on this: most of this collection is in a room full of boxes at the moment, but the sorting phase is already well underway. IMPORTANT: Although this is called a 'one time' perk, we will be happy to keep these amazing collectibles coming to you a few times a year: the longer you stay with us, the more you'll get! All you have to do is stay in touch. And remember: WE WANT YOUR STORIES, as well as those of friends & family who have visited Vegas in the past! This is next level stuff, friends & neighbors! Befuddled Tier 1 & 2 patrons will be drooling with envy when they see what you scored up in here. Again, be sure to tell us what sort of item you'd like to receive (show program, oversized postcard, premium casino chip/ slot token, etc.) 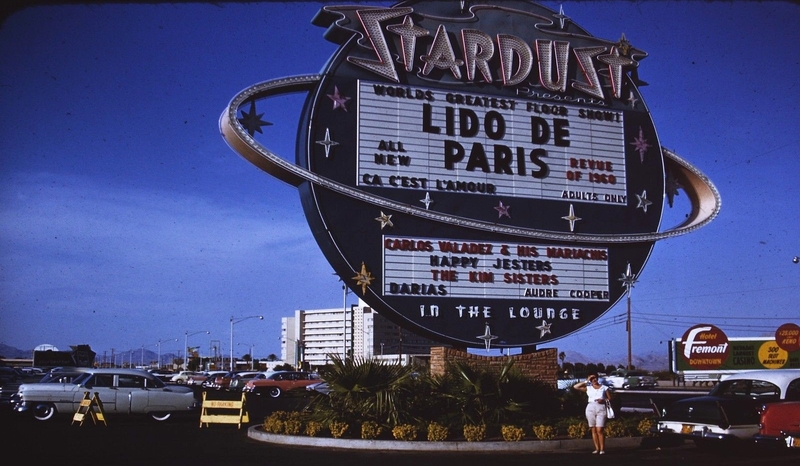 and where it came from (Stardust, Desert Inn, Downtown/ Fremont Street, etc.) and we will do our best to accommodate. Obviously, there are no guarantees here, but we DO know you'll just love & treasure the piece of Old Las Vegas we send to you! IMPORTANT: Although this is called a 'one time' perk, we will be happy to keep these amazing collectibles coming to you 2-3 times a year: the longer you stay with us, the more you'll get! All you have to do is stay in touch. And remember: WE WANT YOUR STORIES, as well as those of friends & family who have visited Vegas in the past! This one puts you in the elite; at the front table where the real swingers & cool cats sit, and star spittle can land right smack in your martini. This level will get you a wild, Fabulous Vintage Vegas "loot crate"-style booty box of Las Vegas goodness, with items from all over the map and timeline of Las Vegas History. Also, your name (and any dedication you'd like to add) will be mentioned as a true patron in all credits for videos, the film, the book and the website, and whatever additional mischief this project gets itself mixed up in. 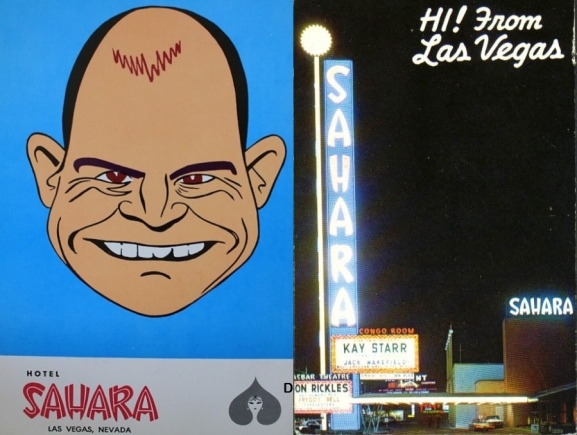 Be sure to send a note mentioning your favorite Vintage Vegas performers and lost locations so we can do our best to personalize your selection of relics.